It does not matter whether your biggest wish is a bike in Ferrari red or a sky blue one, whether you dream at night of an aggressive looking number or a sporty specimen, of a sophisticated stylish model or of pure comfort. 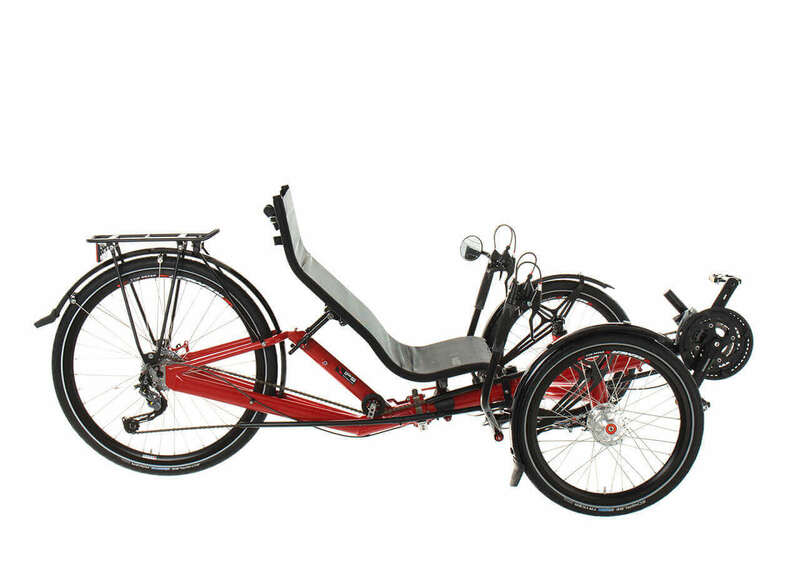 The Azub T-Tris 26 is the fastest and most affordable trike in the Azub lineup. 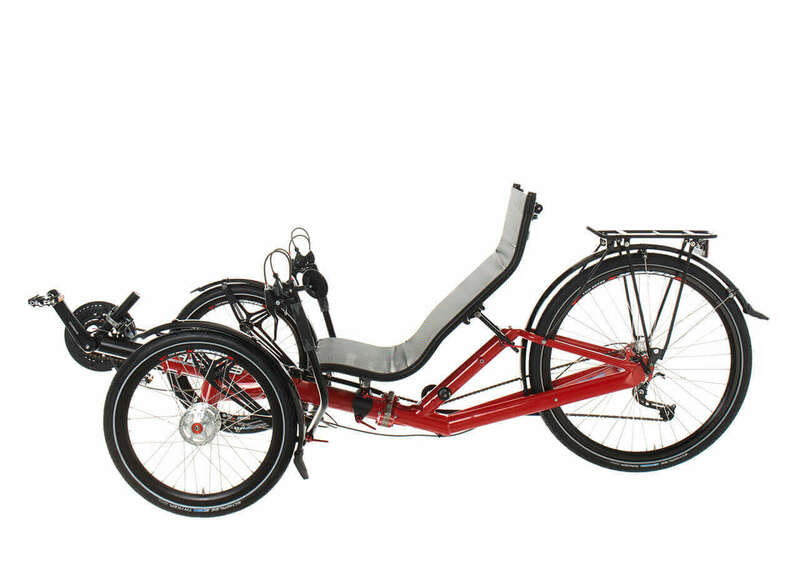 The T-Tris 26 is the fastest and the most affordable trike we have on offer. 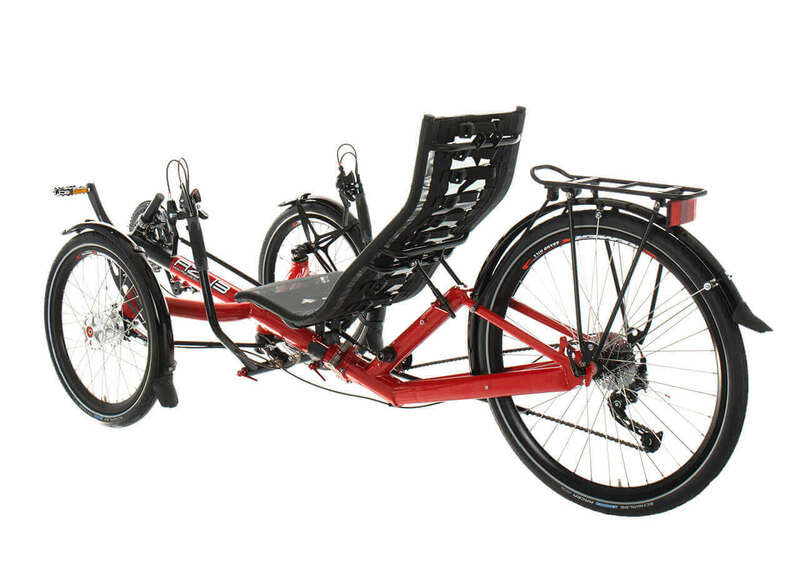 It, too, has a stiff frame with minimum flex while riding, and accurate steering. 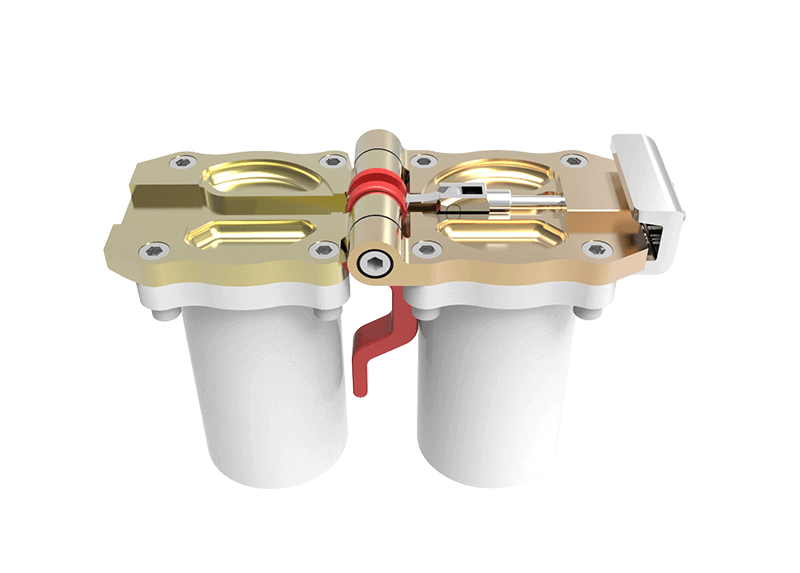 The T-Tris 26 shares the same geometry and other important technical solutions with its siblings, like the AZUB Ti-FLY or TRIcon. Even the rear part of the frame is designed and made so as to make the rider feel confident in steering through even the sharpest bends. The 26� rear wheel gives a slightly better feeling of comfort. For the more sport-minded cyclists, the fact that the trike is faster on flats may also play a role. The simple F2F (Fold-to-Flat) folding system doesn�t require much strength and makes transporting and storing the tricycle pure joy. 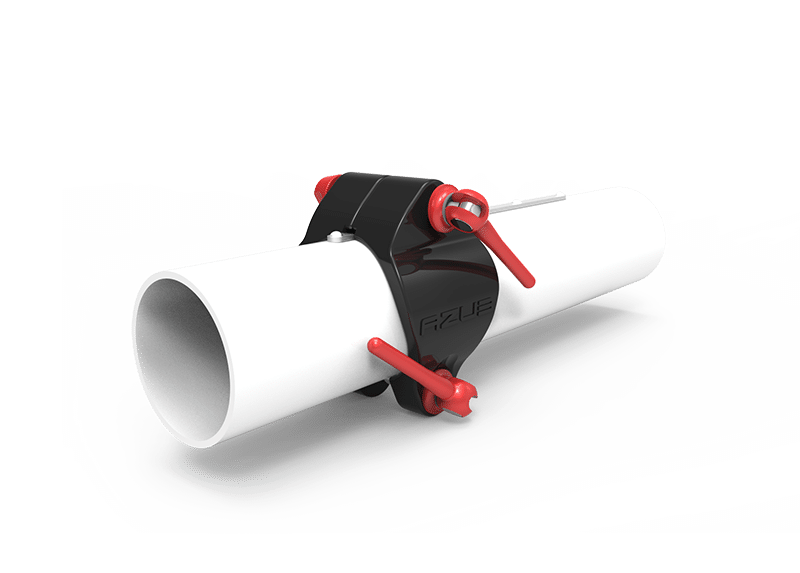 It takes less than a minute to remove the seat and fold the frame in half, and because it doesn�t have to be lifted much, it can be easily folded and unfolded even by people are not that strong. Though, the same goes for all our tricycles anyway. Greatly admired is also the big red handle operating the main folding mechanism, which not only has a nice industrial look, but also makes the whole folding maneuver much easier. And the precisely adjustable folding handlebars are just as exquisite. Thanks to the 26" rear wheel it was easier for us to select the right components and combine them to 100% satisfaction to make your riding experience truly remarkable. 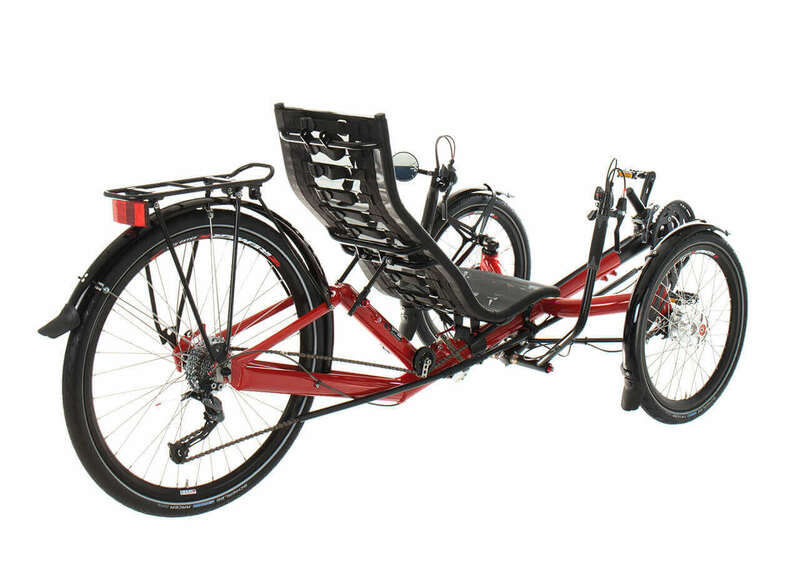 After all, a 26" wheel is more common in the world of cycling, therefore there is a much wider range of parts that we in AZUB can use when building it for you and that you yourself can use to improve your trike at a later date. A 26" rear wheel copes better with going through or over bumps so it is therefore a little bit more comfortable. Also, some people prefer the overall look and today, the 26" rear wheel concept is simply trendy. 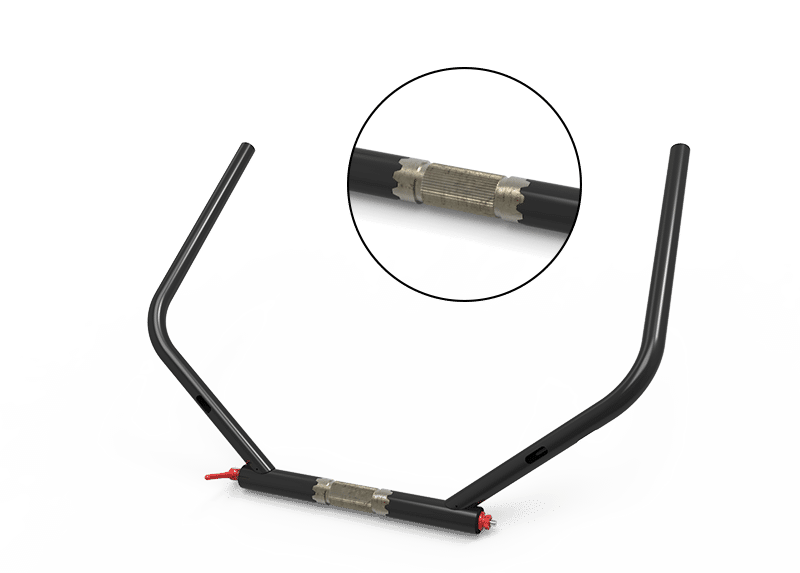 On the T-tris 26, we also managed to create a very stiff rear with minimum flex which provides exceptional riding properties, a highly valued feature in all AZUB tricycles. It does not matter whether your biggest wish is a bike in Ferrari red or a sky blue one, whether you dream at night of an aggressive looking number or a sporty specimen, of a sophisticated stylish model or of pure comfort. Neither does it matter whether you are planning short, relaxing trips or long expeditions which might take several months. We can help you fulfil an incredible number of wishes. And regardless of whether we will be configuring and building you a bike in the very basic version or one with all the cutting-edge elements, you can rest assured we will take the same care. For us, the aim is simply to see a happy person with a smile on his or her face every time they get on their bike.